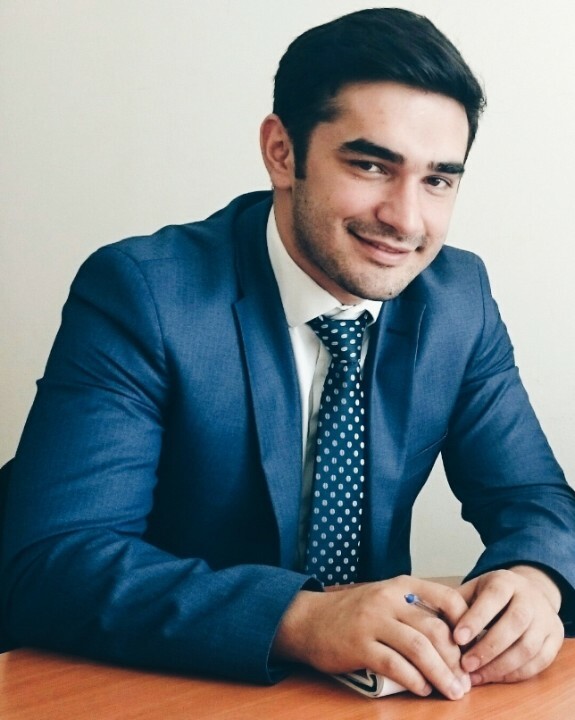 Our interviewer - an expert in the field of social work, Elmir Valehli, is a graduate of the Faculty of Social Work from Azerbaijan University, Head of the Division on health policy and reforms of the Public Health and Reforms Center under Ministry of Health of the Republic of Azerbaijan. E. Valehli directly participated in realization of several local and international projects as coordinator, trainer and expert. - Elmir, you have been engaging in activities affecting the subject of disability quite a long time. 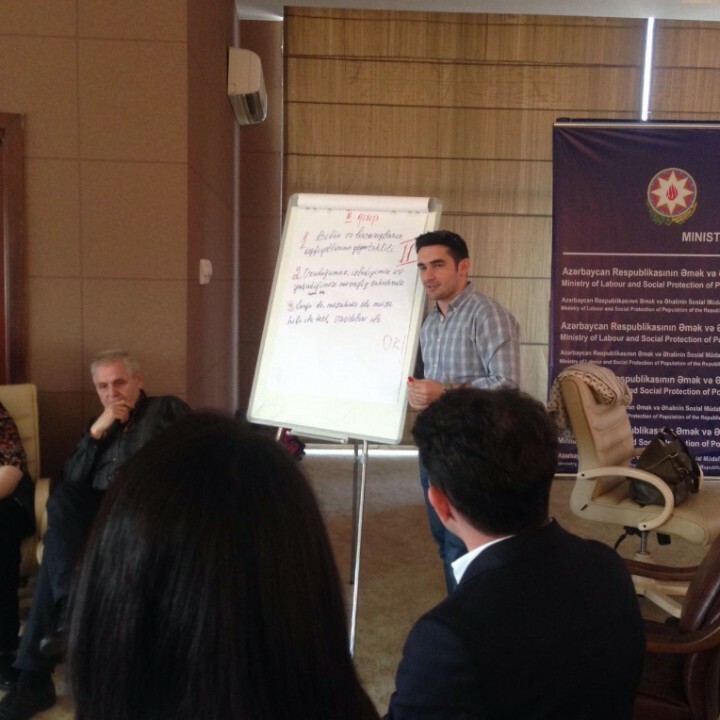 How do you characterize the situation with disabilities in Azerbaijan? - If pay attention to “raw” statistics, we can say the following: according to official data for 2015, the total number of disabled people in Azerbaijan was 568,149 people. 65 482 of them are partially health lost person's up to 18 years, 365 750 are people with disabilities who has seniority level (at work), 136 917 are people with disabilities who do not have work experience at all. Comparing these numbers with the statistics of past years, we can state the fact that the number of citizens with disabilities in the country has decreased, as a percentage of the number of population. Regarding to the services provided to people with disabilities, we can note active cooperation between the Ministry of Labor and Social Protection of Population of Azerbaijan and local non-governmental organizations (NGOs). The Ministry has been allocating funds to NGOs for implementing governmental services in this area for the last 4 years. Relevant centers in Baku and various regions are established which provide free services, consultations, thematic seminars and trainings for disable people. Unfortunately there are still number of problems in this area, including bureaucratic barrier on obtaining relevant documents, not very high disability pension, etc. However, monitoring of recent years shows a tendency in improvement of the situation related to social protection of disabled people. - How widely inclusive education is implemented, especially in regional educational institutions of Azerbaijan? - Unfortunately, we have not adopted relevant laws on inclusive education. Although in various educational institutions projects and application of methodology are realized; but all are in a pilot level. Among the inclusive educational institutions there are schools both in Baku and in regional parts of Azerbaijan. Let's hope that soon the Parliament will approve the law on inclusive education. It should be noted that on 24th of October 2013, the President of the Republic of Azerbaijan signed the ‘State Strategy on development of education in Azerbaijan”, which separately covers actions in development and implementation of inclusive education. - It should not be also mentioned that in Azerbaijan there is lack of actions in development of inclusiveness in Azerbaijan. - Of course, NGOs and international organizations in close cooperation with the governmental Ministries, various projects and programs in this regard have been implemented. For specialists various training is organized, educational work with the parents of disabled kids and with the parents from typical families is conducted. This type of parallel work aims creation of conditions for wider implementation of inclusive education in the country. It also creates an opportunity for society to have an equal position for both people with disabilities as well as healthy. There are all preconditions for covering inclusive education model soon in all cities and regions of Azerbaijan, as the government is interested as civil society representatives. - Taking into consideration your work experience, especially related to inclusive education, what is your offer for enhancing situation in this regard? - Of course, first of all, as I have mentioned earlier, there is a need to work with all segments of the society – prepare them for embedding inclusive education to the entire education. Also, it is inevitable to solve the series problem as infrastructure of educational institutions (ramps, bathrooms, classrooms), which in most of the cases even do not respond to minimum standards. According to the needs of the target group, it is also important to develop relevant textbooks and relevant reading materials. Also, conducting periodic monitoring, evaluation of situation and adjusting activities in this direction and brining in line with the established standards. Along with the above mentioned activities, it is important to organize events for enhancing qualification of specialists in inclusive education. The most important issue is interest of the government in application of inclusiveness into the education and there are in existence of series steps in this direction. We should not also forget that inclusive education is a field where there is a need for flexibility, mobile and fast in making decisions. Last, but not the least, it is inevitable to take into consideration specialty of the field.